If the lower revenue numbers in Colorado are accurate, does that weaken the case for legalization? The possibility of increased tax revenue was never the main reason for legalizing marijuana. Any added revenue is desirable, since that means taxes on all other activities can be lower. And legalization shifts profits from illegal traffickers to the population generally, a kind of redistribution that most people would endorse. But the most important benefit is that legalization enhances the welfare of those who use marijuana, or would like to do so. When pot criminalization is in place, users often fear arrest and fines, even when enforcement is modest. Also, users in a black market face difficulty determining the quality and safety of the marijuana they purchase, as well as paying elevated prices. Legalization, moreover, helps society generally by eliminating the unintended consequences of prohibition. The worst impact of prohibition is the increased violence and corruption generated by black markets. In legal markets, consumers and firms resolve their disputes with law enforcement, lawyers, arbitration, and the like. In black markets, participants cannot use these mechanisms, so they resort to violence. History has shown that prohibitions of many goods (prostitution, gambling and alcohol) have consistently been associated with elevated rates of violence, such as during Prohibition in the 1920s and ’30s. The increased violence and corruption caused by criminalizing marijuana is not limited to the United States. America’s desire to enforce prohibition has led us to push prohibition on Colombia, Peru, Mexico, Afghanistan and other countries, with similar consequences. The profits generated by illegal production and trade in these countries fuel terrorism, since the traffickers use their profits to pay terrorists for protection from the criminal justice system. A different cost of prohibition is diminished civil liberties. Standard crimes like theft and violence generate complainants, who report such crimes to the police and provide evidence of the crime. Victimless crimes like drug transactions do not generate complaints; neither a drug buyer nor a drug seller wants to report this activity to the police. Law enforcement can therefore only enforce prohibition with intrusive tactics like undercover busts, warrantless searches, and stop-and-frisk arrests. Prohibition also has significant directs costs for police, prosecutors and prisons. In 2010, I estimated these at roughly $75 million per year for Colorado. And even if state and city government do not reduce their expenditure on criminal justice under prohibition, these resources can be applied against crime with true victims, and not against those buying or selling marijuana. But perhaps the greatest casualty of prohibition is general reduction of respect for the law. Under prohibition, many people continue to buy and sell drugs, mostly without legal consequences. Thus, everyone learns that laws are for suckers, and voluntary compliance with society’s other rules diminishes. 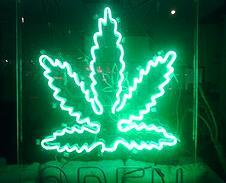 Legalizing marijuana is, therefore, the right policy, even if it generates no tax revenue. Anything that Colorado collects is just icing on the cake.